"'My dear Arjuna, you can declare on My behalf that a devotee will never be...' A pure devotee. 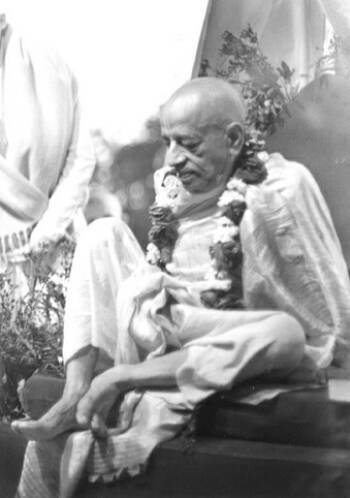 Always remember -- a pure devotee. Devotee means a pure devotee. Contaminated devotee is different. Dvidha(? )-bhakta and suddha-bhakta. Those who are contaminated with material desires, with fruitive activities and mental speculation, they are contaminated devotees. They are not pure devotees. Pure devotees means anyabhilasita-sunyam. [Brs. 1.1.11]. No material desires, no action and fruitive activities, no mental speculation. So he is pure devotee. So that pure devotee in transcendental position is always protected by the Lord."